Turn to Valpak of Erie for single-source solutions to your direct mail and digital advertising needs. When you put your small business inside the Valpak Blue Envelope, you take part in a shared direct mail marketing program where you choose the neighborhoods you want to target with your printed coupon ads. Choose your preferred print ad format from several layout options, including circulars and multipanel and single-panel coupons. Help people learn more about your business with a business website created by your local Valpak team. Valpak of Erie is a Google Premier Partner that will help you choose the right mix of keywords and locations so you can be found when people search online. Do you need to improve your current ROI? 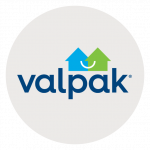 Contact Valpak of Erie and we’ll share how you can benefit from Valpak’s performance dashboard and call tracking tools. These tools will help you keep track of your campaign activities with an accessible dashboard and monthly reporting. You’ll always know where you stand with your advertising spend. Let Valpak of Erie supercharge your local advertising drive in nearby cities including Erie, IN, Meadville, Pennsylvania, Jamestown and Olean, New York and Ashtabula, Ohio. For specific dates and coverage, contact your Valpak of Erie representative.